The Smart Appliances segment comprises connected versions of all kinds of household appliances. This includes large appliances (fridges, washing machines, ovens etc.) as well as small appliances (microwaves, coffee machines, vacuum robots etc. ), provided they are connected to the internet. The worldwide revenue of US$15.24 billion in 2018 is expected to increase to US$46.23 billion by 2023. 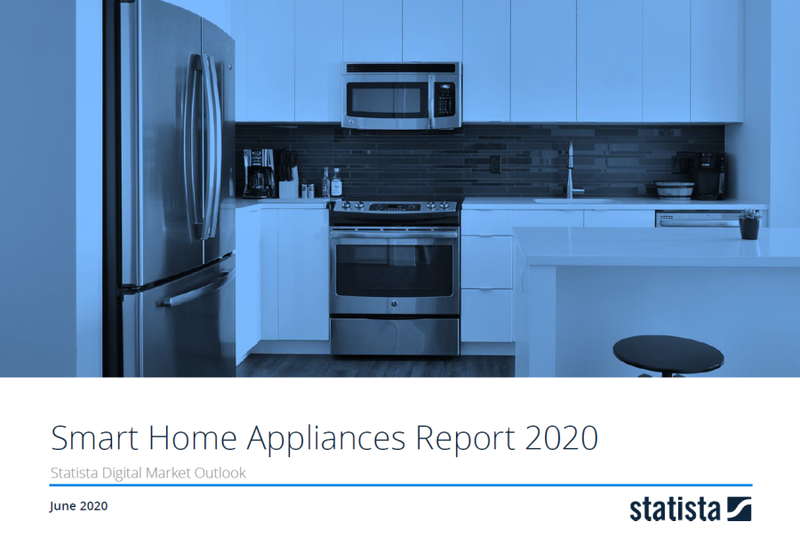 The report covers the Smart Home segment smart Appliances which includes connected versions of all kinds of household appliances. This includes large appliances (fridges, washing machines, ovens etc.) as well as small appliances (microwaves, coffee machines, vacuum and mowing robots etc. ), provided they are connected to the internet. An indirect connection via a local network is also possible, as long as the remote access and control of the respective appliances via the connection is given.